Many people in developing countries have limited access to health care, often due to the financial cost, a lack of nearby facilities or little knowledge about which symptoms require medical attention. Working with partners in India, Malawi, Nepal and Nicaragua, PWS&D is helping communities build healthier futures by providing health support. Mosquito nets are distributed to help prevent malaria, and mothers are learning about the importance of early childhood nutrition. 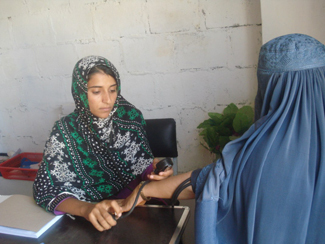 PWS&D partners are also helping marginalized communities access existing government health services. 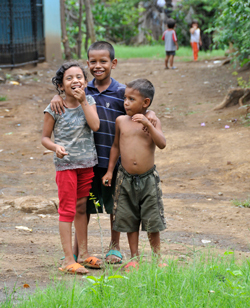 In Nicaragua, PWS&D is working to improve nutrition and build healthier futures. By approaching those motivated to make lasting change in their communities, PWS&D trains local Community Health Volunteers to share better health practices. These volunteers meet regularly to gain literacy and health expertise on vital subjects such as how to prevent illness and the importance of proper sanitation and clean water. The volunteers share the new skills and information with others in their villages and conduct regular home visits, helping families adopt healthy habits to improve their health and hygiene. They help identify problems such as malnourishment and anemia. They also assist pregnant mothers, use local, natural medicines and advocate for medical services and improvements to their communities. The pervasive problem of malnutrition is tackled through seminars, rehabilitation clinics, home visits and the promotion of home gardens – small plots that grow a variety of fruits and vegetables to diversity household diets and earn income by selling excess produce. Patients with HIV and AIDS, leprosy, TB, skin, ear and dental problems access effective treatment and education and help reduce stigma in their communities. Some of the poorest patients are assisted with income-generating initiatives to earn extra income and improve their health. Malaria, one of Africa’s most severe health challenges and most prevalent childhood diseases, is being reduced by providing insecticide-treated mosquito nets and teaching malaria prevention programs through community volunteers. Becoming a mother and caring for young children is risky in developing countries like Malawi and Afghanistan where maternal and child mortality rates are among the highest in the world. PWS&D is working to change this situation by making lasting improvements to the health and well being of vulnerable women and children. By learning about the importance of maternal health care, women are empowered to make important decisions about their health and well-being. Support for PWS&D’s maternal health programs is helping more women and children survive childbirth, lead healthier and stronger lives and make informed decisions that will improve their health, well being and quality of life. Through improved health care services and enhanced community attitudes, women are seeking and receiving prenatal care and giving birth in proper health facilities – increasing the likelihood of safe pregnancy and delivery, and improving the lives of children. Through your generous support, children and families are improving their nutrition and living healthier lives. Make a donation today! PWS&D has information sheets available to learn more about our health programs. Currently there are sheets for maternal health and health programs in Malawi. A general sheet covering a range of other health programs in different countries is coming soon.